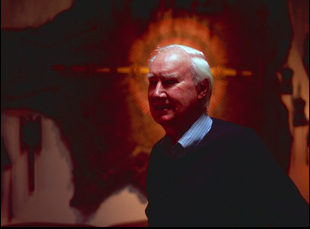 Ever since Forrest Fenn, a millionaire art dealer, let word out that he had hidden a treasure chest said to have $3 million worth of gold coins and nuggets somewhere in the Rocky Mountains, thousands have descended upon Santa Fe where Fenn resides in search of fortune. Yet it’s arguable only Tomas Leach has found it in making “The Lure,” a beguiling adventure into Northern New Mexico where he joins a handful of treasure hunters as they follow the sole clues Fenn has left them in the form of a poem. 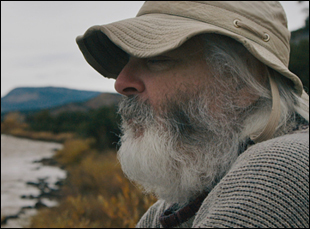 While these men and women are brought to the mountains with the promise of gold, Leach discovers a far different search going on, with each person driven by the far more intangible goal of seeking out their place in the world after life hasn’t gone exactly according to plan. Whether it’s an El Paso police officer whose injury on the job forced her to quit, breaking the tradition of her family serving in law enforcement, or a former corporate employee who seeks solace in the natural world by living off the land, the film eloquently illustrates the emotional and geographical terrain they all must overcome to find peace. It’s a consistently stirring second feature from Leach, who previously directed the captivating portrait of photographer Saul Leiter, “In No Great Hurry,” and befitting of Fenn, the mysterious man who put this all into action, “The Lure” only reveals itself gradually, content to sit back and allow the wonder of both the magnificent setting and the constant unpredictability of human nature take hold. On the eve of the film’s premiere at DOC NYC, Leach spoke about how he found such great characters in the gold rush created by Fenn, the challenges of tracking an ensemble and the inspiration of Robert Altman’s “Nashville,” as well as securing an enchanting score by Calexico. How did “The Lure” come about? I read a small article about Forrest and his treasure and I was instantly attracted to the idea of a treasure hunt, like any 12-year-old boy would be. It hooked me at the start and I flew out to Santa Fe to meet Forrest because I wanted to make sure it wasn’t some kind of glib news piece, but there was actually depth and character behind it. I came back quite confused as to what I saw, but completely intrigued. Did you immediately have an idea of how you’d tell this story since it isn’t all that straightforward? Quite quickly, I met and spoke to treasure hunters in different states and at different times, either on the phone or I’d meet them in Santa Fe. I filmed some of them that didn’t make the film, as well as the characters that did and it totaled almost about a hundred. I knew if it became too much about the treasure itself, it would be a very simple and perhaps quite a shallow film, but the treasure could be a conduit for telling these stories that are quite universal and human. The [treasure hunters] were just so diverse, but they all had a common appeal to me because we’re all searching for something in our lives. [The treasure hunters in the film are the ones] that leapt out to me instantly just because they represented something different to me and the biggest guiding factor was that this had to be something that took each of the treasure hunters seriously, truthfully and trust them because if it became a film about a bunch of nutcases running around the hills for some kind of hokey gold, then it’d be very facile to mock them or to make it about wacky Americans. That wasn’t the essence of the story, so any time I met somebody who was too extreme, I just thought that’s not really this film. And in the end, I felt each of these characters had a depth to them that could sustain a feature-length narrative and allow it to resonate with people. Did you feel being British-born affected the perspective you brought to this? Possibly, but I’m not sure whether it’s British-born or just not from the American Southwest because to me, that’s the only place in the world this could happen. It’s somewhere where someone could say, “I’ve hidden a treasure chest full of gold and jewels” and it’s just accepted. I think if you said that in London, everyone would be very suspicious and cynical or even on the East Coast here [in America], but something about the mixture of history and story history of the American Southwest – cowboy books, but also cinematic history, that it makes it believable there. And as a Brit, there’s something powerful about the American Southwest because it’s nothing like what we have in Europe. You film it so majestically. How did you create that sense of environment? It’s tangible. It was always the plan that landscape be a huge character in the film because it’s a huge character in the story and it wasn’t just oh, let’s shoot these big wide vistas just because we can and it’ll be pretty. These are our reference points for what’s happening and it’s fundamental you understand the scale and the beauty, but also some of the darkness of that landscape. It is a huge, vast place and it’s an unforgiving and dangerous and as a filmmaker, that’s a treat to be able to do [show] that with a legitimacy as part of the story. There are so many films [such as] “The Treasure of Sierra Madre” to “There Will Be Blood” [where they’re] about a place that is both intoxicating, but also can lead you to your doom, so it’s fascinating as a filmmaker. Was this just you alone filming or did you have a crew? The first time I went out there, I went alone to meet Forrest and just meet a few people and talk and then I took a small crew for a week. But it’s such a large, unmanageable landscape that taking a crew made it slightly impractical. I didn’t want a barrier between me and the characters, so in the end, it was just me and an assistant out on these searches with these people. That gave an immediacy, but it also established trust because if you hike five hours with somebody out on their hunt, and you’ve waded a river and climbed a hill and scrambled up these rocks with them, there’s something you’re doing together and it becomes a sharing of a story, which is much deeper than just extracting it. I read an article from 2015 that said you had visited three times at that point – would you go back and revisit some of these characters or just meet new ones? At the end, I went out there five times in total and I didn’t see everybody each time, but I definitely revisited [some] and it was important to me there was progression in time in the story because it’s been happening for a while. I’d visit and either go back to England or I’d be shooting something else and come back and it just allowed the story to percolate a little bit, so in the time in between, their point of view could shift, which I always knew was fundamental to make this film. They had to be on a journey that grew and changed because I knew from the start there was a real possibility that no one in the hunt, per se, would actually find the treasure. Since you said you spoke with Forrest on your first visit out, did that affect your approach to the story? It did and it didn’t. He’s quite mysterious, both a public figure and deliberately cryptic, so trying to maintain a sense of that throughout the film was an early idea. I knew I didn’t want to make it about him so much as the thing that he had done, so the tone of him set [a feeling for the film]. Was this tricky to edit? The Calexico score really adds to it – how did that come about? Randall Poster and Meghan Currier are the music supervisors and it was important to me that even though this is a doc, it felt very cinematic, so I expressed this to them and showed them the film. The first name they had was Calexico and I like their music and I thought the soundtrack they did for “The Guard” was fantastic, so I was delighted. It took us a long time to work out scheduling, but the first draft of what they came back with was just beautiful. It unifies the film and roots it very much in that culture, giving it a sense of place, but it allows [the film] to be mysterious and big to match the landscape, but it matches the characters in its subtlety. For you, was it helpful that your first film “In No Great Hurry” was more of an individual portrait before expanding to this type of epic tableaux? “The Lure” will premiere at the DOC NYC at the Cinepolis Chelsea on November 13th at 7:45 pm and at the IFC Center on November 15th at 3 pm. DOC NYC '16 Interview: Rebbie Ratner on Pushing Forward with "Borderline"
DOC NYC '16 Interview: Ricki Stern on Going the Distance with Survivors of Terrorism in "Marathon"